I was so excited of securing my job and the night before my first day, Cinta and I went to some shopping and I bought simple make up - eyeliner, brows liner, foundation and hmm I forgot. You know, when you see someone so successful, they put on a make up. #mediasocialinfluence. So, I was thinking of getting my really first set of make up, and after several weeks of applying them, especially the foundation, I had a mild breakout on my cheeks! Okay, the reason was because: I did not put extra attention on wiping them out before cleansing my face. So, you know... I better stop wearing them and go back to maximise my skincare routine. Now, it's time to spill the truth on this product!. Back in 1 (more or less) month ago, I purchased a limited edition Innisfree pack. This is how it looks like!. This pack is consists of 5 best-sellers items, and everything is arranged in a puzzled arrangement. Although, I bought this from a sense of impulsiveness, but I surely got the reason to. Let's check it out! 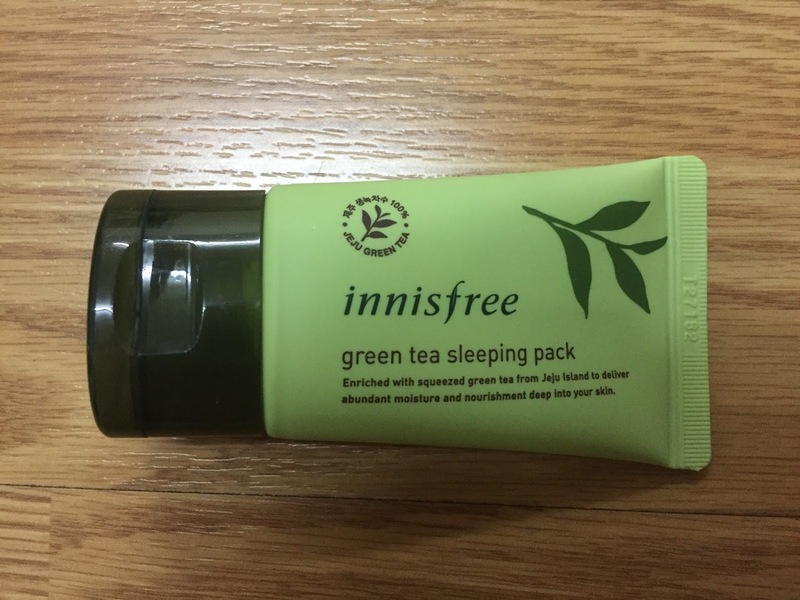 Years ago, I got a starter kit for this Green Tea range from Innisfree. It was awesome! Now I manage to try this product and got to experience them on my face for a longer period. A little bit intro on this product, this serum is 100% from Green Tea essence from the Jeju Island. Use this right after washing our face. This is also a product of Dual-moisture rising technology and it derived from green tea and green tea seed oil, thus helps to double up it's moisturing effect. MOISTURIZE EFFECT -This is a moisturizing and nourishing eco-friendly serum that claims to lock in moisture within 3 seconds! Yes, I am totally agree with this. This serum helps me to prep my face before starting any skin care. It helps me to hydrate my skin deep within! 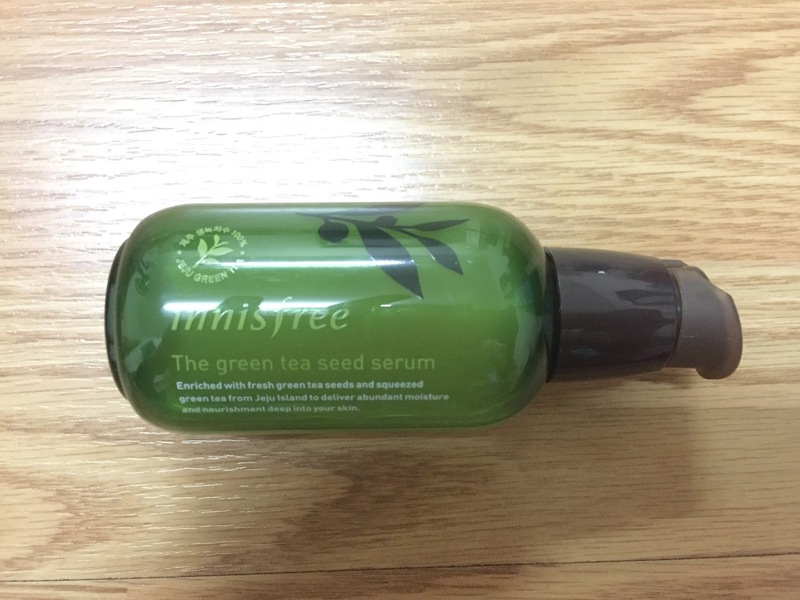 AFTER EFFECT - I am not sure, after quite some time of using this product, I had a mild rashes on my cheeks, however, I am not sure, it is because of this product or because of the hot weather. but I get to understand one thing: I applied this serum twice in a day, on morning and on evening. But, soon, I got a little redness and on my cheeks, I reduce the frequency and instead wear it during morning only. Over the time, my skin has tolerated well, so I regain my confident back on this product. TEXTURE & APPEARANCE - I really really like the texture, it's white and has a lightweight, not sticky afterward! FINAL THOUGHT - If I did not experience any after effects of this product, I would rate it as 10/10. However, due to mild redness on my cheeks, so, I only manage to give 8/10. Using only this product to moisture your face is surely not enough, this serum meant to be used with it's line! 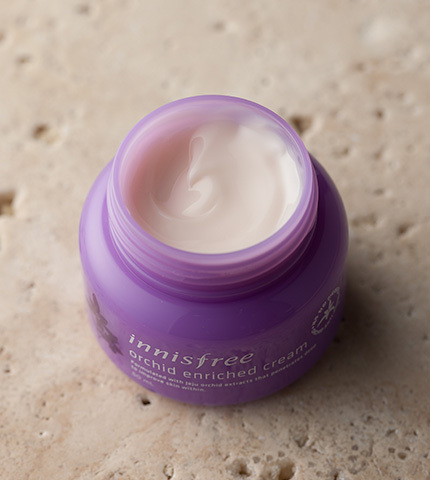 This is a wash - off mask formulated with Jeju black-green tea and fermented green tea for a firmer and clearer skin. Honestly, I was not feel so wow with this product, because I prefer the clay mask, however, since this is to make the skin firmer and clearer, thus it's from different range. Nah! here's the review. 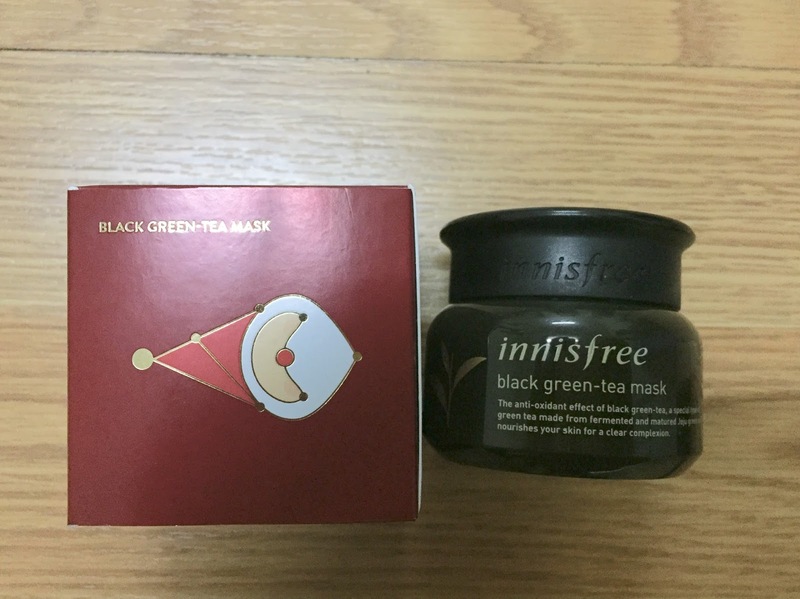 Texture & Appearance of the black green tea Innisfree Mask. FIRMER AND CLEARER EFFECT - On my first application, I did not feel that much changes on my skin. Probably, because I wanted the Mousse Clay Mask, so my mind was literally focused on that clay mask only, but sooner, I felt that my skin even soother and smoother! AFTER EFFECT - After using this mask, as mentioned above, my skin feels smoother and soother, yes, it does help in removing the dead skin! Altho, it is a mask, but - it helps to retain moisture in my face. TEXTURE & APPEARANCE - You can refer on the image above. Its jelly type and does not irritate your skin! FINAL THOUGHT - #everonedeservesasecondchance, I like this product tho, it's soften and firming the skin! 9/10. MOISTURE AND NOURISHMENT EFFECT (AFTER EFFECT) - This sleeping pack absorb quickly and leaves a soft, plump moist layer over my skin. However, I did not notice if it is retain the moisture until morning, because I felt the Laneige sleeping mask is the da bomb, hence I could not feel the after effect of this product? TEXTURE & APPEARANCE - This has a cream consistency but it isn't too heavy. It is quite lightweight for a cream and definitely leaning more towards a gel texture than a thick cream, when you smooth it out. This is suitable for those who have normal to oily or even combination skin. FINAL THOUGHT - I usually apply this before bed after I've used any mask - act like a moisturizer and had a good definition upon the application, but not reaching my expectation. Hence, I give it 6/10. So, what's the deal with orchids? 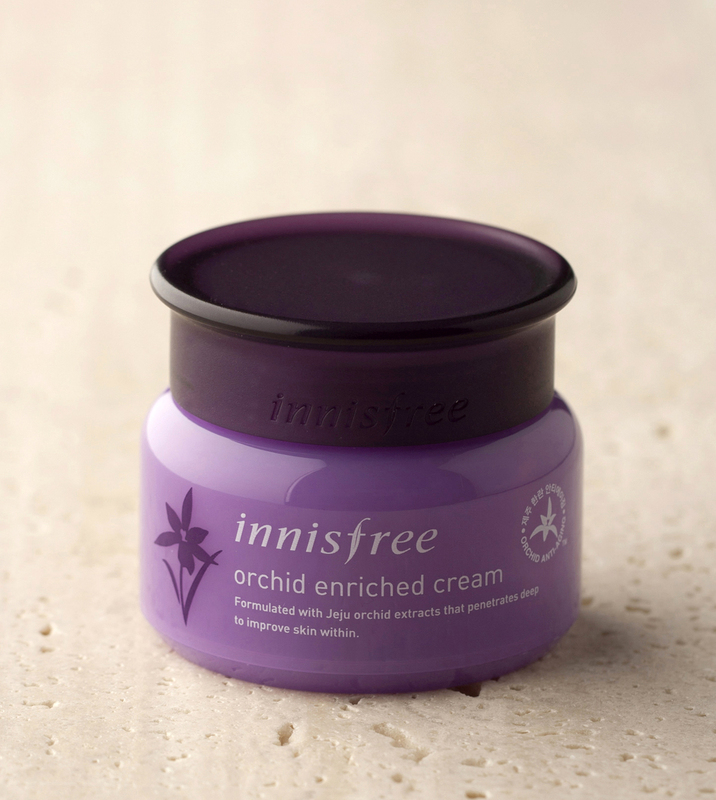 Well, aside from the green tea line, Innisfree also had Orchids line which has the anti-aging properties and this is a special type of orchid that is able to survive winter! EFFECTIVENESS & AFTER EFFECT - I would say this product is da vavom! I like the scent of the orchid. It does makes my skin glowing and moist throughout the day. TEXTURE & APPEARANCE - This has a cream consistency but it isn't too heavy. It is quite lightweight and does not leave a sticky feelings after applying. FINAL THOUGHT - I used this for a day care, which is after applying my Green Tea Balancing lotion. Using this cream before my powder, leave me with a foundation feelings- the skin is smoother and flawless! 10/10. 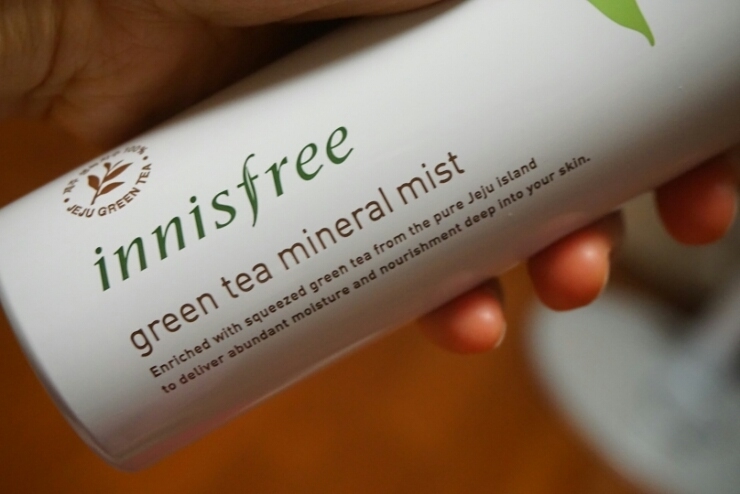 First of all, this is the second or third time I purchased this mineral mist. So, I am gonna talk a tidbits on this product since, I had put my first review of it on my previous entry. Secondly, I love the fact that this mist comes in a serene white bottle and the pump dispenser - easy to use and due to the large thumb area, it helps to dispense the mist very well. Thus, it gets spread well on the face. However, since I am using the moisturising lines from Innisfree as well - it help to moisten my face without addition of this face mist. I, rarely using this product because I am no make-up wearer and only mist it when I felt my face dryer, especially after Zuhr - which needs me to wash my face. Although, I'm liking this product very much, but I can't deny the fact that it felt sticky afterwards, hence, somehow, it will cos a little breakout on my face - probably because of the mineral content itself. Nonetheless, I still wanting to buy it, because my skin is a combination type, so, in some other time, I would experience dryness, hence, this is a perfect go! p/s: this edition is for winter actually, so, they provided a moisturising range to avoid your skin from dryness, but, we can also relate them to the Malaysia's weather.